We have gathered together in all links our pick of the most useful links and websites. We have gathered together our pick of the most useful links and websites, to further your research and interest. We have listed them under the following categories:- UK Museums, Overseas Museums, UK Archives & Libraries, Overseas Archives & Libraries, Family History Websites, Ship History Websites, Maritime Societies & Organisations, Specialist Suppliers, Dealers & Auctioneers and Associated Companies. Each individual website will open in a new page window. To return to the P&O Heritage site simply close or minimise your new window. The P&O archive is on permanent loan to the National Maritime Museum where it is publicly available in their library. In addition the Museum has a substantial archive of other shipping lines and shipbuilders which are outlined in their Shipping Companies research guide. The museum also have a number of ship models and items on loan from the P&O Heritage Collection. Part of the National Maritime Museum, NMM Cornwall is concerned with the Maritime Heritage of Cornwall and the history and importance of small craft. P&O's first sailing of the ROYAL TAR called at Falmouth en route to Portugal and a painting of the P&O TAGUS (1837) is on loan to the museum from the P&O Heritage Collection. Visit the 'Ships Gallery' in the Transport section of the Science Museum where there are a number of P&O and Orient Line ship models on permanent loan, together with a model of the engines of screw steamship CARNATIC (1863) and a drawing of the trunk system of the screw steamship CANDIA (1854). Included in the Ulster Folk and Transport Museum are the archives and photographs of shipping and shipbuilders from Northern Ireland including Harland & Wolff, who built several ships for P&O. In the museum's collection, look out for a ship model of the passenger liner IBERIA (1954) (on loan from the P&O Heritage Collection) and an original illuminated deck plan from CANBERRA (1961) gifted by P&O to the museum in 1998. Merseyside Maritime Museum has an excellent collection and substantial archive relating to merchant shipping particularly shipping companies serving the Port of Liverpool. A number of ship models in the museum are on loan from the P&O Heritage Collection. The Museum of London Docklands explores the social and economic significance of the port of London, for a time the busiest in the world. P&O has a long history with the Port of London where the company began. Today DP World is building a new port for London. The Dock Museum has a superb collection of ship models donated by the Barrow shipyard including an unusual mechanised model of ORIANA (1960). Until recently a full hull 1:48 scale, builder's model of the passenger liner STRATHNAVER was on loan from the P&O Heritage Collection. The Imperial War Museum is a multi-branch national museum of war and wartime life from the First World War, through the Second World War, to the present day. The museums collections and archive include a wealth of material relating to the merchant navy service during both World Wars. Created in 1997, the National Memorial Arboretum is the UK's Centre of Remembrance. A number of commemorative memorials commissioned by P&O, British India Steam Navigation Co., New Zealand Shipping Co., Federal Steam Navigation Co. and Nourse Line and dedicated to their staff and crew who gave their lives in World War I and II are on display at the National Memorial Arboretum, on loan from the P&O Heritage Collection. The Maritime Museum and Buckler's Hard story give an insight into the history of the village from its 18th century beginnings as a shipbuilding centre through to the vital role the river played during WWII and the D-Day landings. The Museum's current exhibition tells the story of the wreck and salvage of P&O Liner S.S. PERSIA and includes images from the P&O Heritage Collection. Formed in 1980 the Dover Transport Museum is a large local museum set in two acres. Look out for a full hull model of the General Steam Navigation Company pleasure steamer ROYAL SOVEREIGN (1948) on loan from the P&O Heritage Collection. Situated in the Clock House on the quayside at Ramsgate Harbour, the Museum focuses strongly on Ramsgate and its immediate environs, with a brief introduction to the rest of the region's maritime past. Look out for the G.S.N.Co. QUEEN OF THE CHANNEL ship model on loan from the P&O Heritage Collection. Opened in 2005, the National Waterfront Museum at Swansea tells the story of industry and innovation in Wales over the last 300 years. Until recently the Coast Lines ship model of BRITISH COAST (1934) was on loan from the P&O Heritage Collection. The River and Rowing Museum at Henley celebrates the history of rowing, the Thames and the local area and artists. In his studio close to Henley, the artist John Piper created his monumental work Landscape of the Two Seasons, commissioned for ORIANA (1960), where it was the centrepiece of the Princess Room. The mural can be seen today in the River and Rowing Museum where it is on loan from the P&O Heritage Collection. The Sainsbury Centre for Visual Arts is an inspirational public art museum at the University of East Anglia (UEA) Norwich. Included in the collections is Tidal Movements commissioned and created by the artist Mary Martin for the First Class main staircase of ORIANA (1960) and on loan from the P&O Heritage Collection. In 1927 Bruce Castle Museum, operated by Haringey Council, became the new home for a Postal Heritage collection which includes daily packet lists. The Fish Quay dates back to the 13th century and features amongst its many historical elements, Clifford’s Fort - a Scheduled Ancient Monument built in the 17th Century as part of a network of coastal defences. Today’s working quay is the perfect place for a day out... sample fresh fish and chips, fine dining in one of the many restaurants or simply sit back and take in a colourful slice of modern, Quay life. The Australian National Maritime Museum explores Australia's links with the sea and occupies a spectacular location on the western shore of Sydney's Darling Harbour. The museum displays include the P&O sponsored "Passengers" exhibition with a full hull, builder's model of ORCADES (1937). The archive collections include manuscripts and printed materials relating to P&O, Orient Line and Eastern Australian much of which was deposited by P&O. 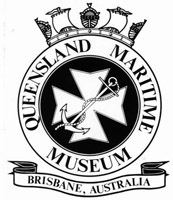 The Queensland Maritime Museum has the most complete history of Maritime Events in Queensland, Australia. Climb on board the historic steam powered tug FORCEFUL, restored to her B.I. colours, and visit the museum's impressive collections where you will find full size, builders models of OTRANTO (1909) and ORION (1935) on display. 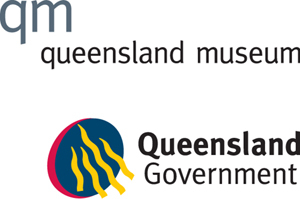 Queensland Museum is home to millions of objects, specimens and artefacts that tell the changing story of Queensland's past, present and future. Until recently you would have found a full hull, builder's model of ORONSAY (1951) on loan from the P&O Heritage Collection. Melbourne Museum explores life in Victoria, from the natural environment to culture and history. Look out for a full hull, builders model of ORCADES (1948) on loan from the P&O Heritage Collection and on display in the Melbourne story exhibition. Hong Kong Maritime Museum pays tribute to the history and development of Hong Kong and China's colourful maritime past. Look out for a painting of P&O's POTTINGER (1846) and the ships bell from NORNA (1853) on loan from the P&O Heritage Collection. 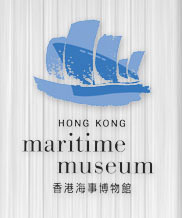 Please note: Hong Kong Maritime Museum will be closing it's Murray House, Stanley site to the public on 4th June and relocating to Central Ferry Pier to be open again with new galleries in January 2013. 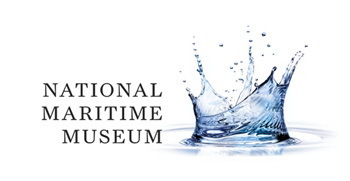 Please check the Hong Kong Maritime Museum website for more information. Voyager New Zealand Maritime Museum is New Zealand's national maritime museum, located at the Viaduct Harbour on Auckland's Hobson Wharf. In the museum's collections and archives the New Zealand Shipping Company is well represented and P&O Heritage has loaned a painting of N.Z.S.Co. 's REMUERA (1911), by Frank Barnes, to the museum's collection. The Maritime Gallery at the Otago Maritime Museum was opened to the public in July 1973. At present it contains 58 model boats, original ship flags and bells. Look out for the full hull, builders models of RANGITOTO (1949) and RANGITANE (1949) on loan from the P&O Heritage Collection. 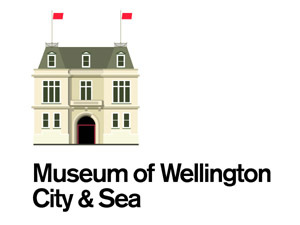 800 years of Wellington's maritime history, from waka to container ship, are celebrated on the central floor of the Museum. The Vancouver Maritime Museum is devoted to preserving the maritime history of Vancouver, British Columbia, and the Canadian Arctic. Look out for the full hull, builder's model of the passenger liner ORSOVA (1954) on loan from the P&O Heritage Collection. The National Archive is the UK government's official archive containing over 11 million historical government and public records. Their vast collections include many records relating to ships, seamen and passengers which are referenced in our research guides. Southampton City Council Archives hold a variety of material relating to shipping and merchant seamen. Most valuable is their collection of crew lists and agreements. Glasgow Libraries hold Glasgow City Council Archives collection of shipbuilding records for a number of Clydeside shipbuilders including Barclay, Curle & Co and A & J Inglis Ltd as well as some shipping companies archives and the Ralston photographic collection. The Scottish Business Archives records cover almost all types of businesses and industries in Scotland's history including shipbuilding and shipowning. Amongst its various functions the MCA holds the official records for the Registry of Shipping and Seamen. The Guildhall Library in London holds business records for some P&O affiliate companies, copies of Lloyd's List and a variety of family history resources. The London Metropolitan Archives is the largest local authority archive in the UK, covering the whole of Greater London (former counties of London and Middlesex). They hold business records for some P&O affiliate companies, copies of Lloyd's List and a variety of family history resources. Amid the vast collections of the British Library is the original prospectus for the Peninsular Steam Navigation Company published in 1834 (Shelfmark: 1890.b.3.(132.). Wessex Film and Sound Archive holds the majority of the P&O Film archive as well as a number of other useful film, sound and video material. The archive is a specialist regional repository based at Hampshire Record Office in Winchester. The P&O Heritage Collection of stamp covers is on loan to the Royal Philatelic Society where it available to researchers by appointment only. This is a great resource to find out about Falmouth maritime history and emigration from the port. The Bartlett Library, based at the National Maritime Museum Cornwall, houses a diverse collection of maritime reference books, periodicals and archive material for public consultation and reference with free admission. 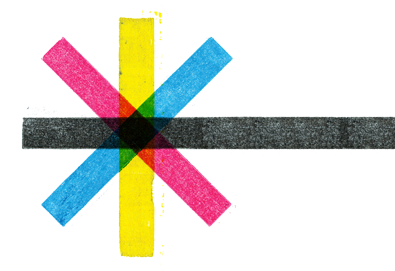 The Posters Network aims to make links between UK poster collections and posters specialists, and to share knowledge, news and expertise. It is supported by Arts Council England. National Archives of Australia hold a selection of passenger lists for various ports around Australia from 1924-1964. They hold a variety of material relating to shipping and merchant seamen. Most valuable is their collection of crew lists and agreements. Archives New Zealand holds the majority of public records in New Zealand concerning shipping and immigration. The Public Record Office Victoria in Melbourne hold a shipping index for inward and outward bound vessels to and from Victoria, Australia from 1839-1923. Museum and archive preserving information on Australian registered ships and Australian seafarers located adjacent to the National Maritime Museum in Sydney. See also individual Ship History Websites for online crew communitities. Part of the UK Archives network, Access to Archives (A2A) is an online database containing catalogues describing archives held locally in England and Wales and dating from the eighth century to the present day. Ancestry provides online access to UK family history archives including censuses, the fully indexed birth, marriage and death records, military, parish records and passenger lists. Inward passenger lists for 1878-1960, which draw on the Board of Trade's records of arrivals into the UK, are fully searchable and accessible online for a small fee. In association with The National Archives, Ancestors on Board provides online searchable database of the UK Board of Trade's outward passenger lists for ships leaving leaving from UK ports between 1890-1960. An online guide for family historians to find the vessels that transported passengers to Australasia. Online resource providing information on merchant seafarers on British registered ships between 1861 and 1913. An online search engine which draws from original sources to locate records of births, marriages and deaths both at sea and abroad. The website also contains a large quantity of other family history resources. Online Index to Unassisted Inward Passenger Lists to Victoria, Australia 1852-1923. An online network concerned in all areas of merchant seamen records (not passengers) both at repositories and within merchant communities online. The Maritime History Archive holds a variety of material relating to shipping and merchant seamen. Most valuable is their collection of crew lists and agreements which give access to details of 80,000 seafarers on British registered ships. The Merchant Navy Association can provide reports on Merchant Seafarers based upon surviving records as well as ship voyages and service medals. An online resource that contains information about seamen serving in both World Wars including a search function to find persons lost during war time. 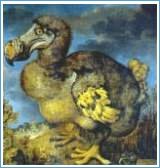 This website explores, records and illustrates why people migrated to England over the last 200 years and what their experiences were and continue to be. Online search engine providing results for enquiries gathered from a number of Australian Repositories. Online resource maintained in conjunction with the National Maritime Museum, the British Library and the Library of Congress which lists records from both World Wars, Royal Navy casualty lists and information about the Falklands War. Seadogs Reunited is all about the men and women who worked at sea in any capacity and providing a means of reuniting with past crew. Seafarers are listed in alphabetical order for ease in your search. The website also includes brief histories for a small number of historical ships. The Crew Lists of the British Merchant Navy from the year 1915 have been digitised and made available to search for free as a result of a National Archives and National Maritime Museum project. 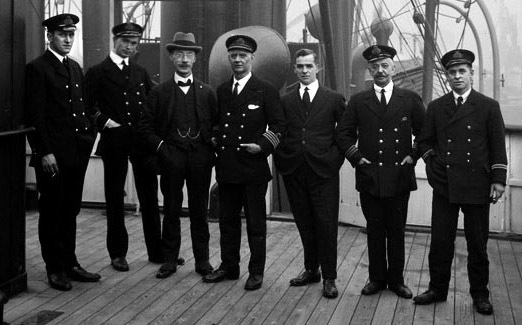 Find relatives and loved ones via this database of over 39,000 crew lists. Provides information and advise for beginners seeking out family history information. 'Discover and honour your ancestors' Billion Graves is the world′s largest resource for searchable GPS cemetery data. An online network concerned with all things associated with British India Steam Navigation Company. Includes data on B.I. ships and access to an online group of ex B.I. employees. 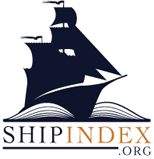 Online database of ship names, shipbuilders, specifications and brief ship histories including name changes. Online database of ship names which appear in written text. Full bibliographic information is provided for each entry. 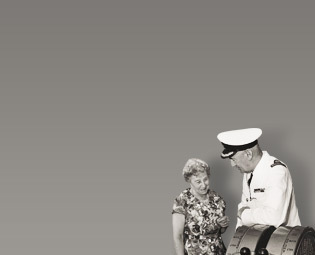 A website concerned with the history, technical information and memorabilia of SS Canberra. Also includes access to an online community of ex Canberra crew and passengers. Online resource providing over 2,000 passenger lists and information pertaining to ships and shipping lines with over 400 unique fleets. This site is free to access. Very informative site commemorating the wartime history of Strathallan and including survivors accounts of the loss of Strathallan on 21st December 1942. This website has been set up in aid of Cancer Research. It contains memorabilia, history and some passenger lists relating to the New Zealand Shipping Company. The official site for the Medway Queen Preservation Society. The society owns and operates the paddle steamer MEDWAY QUEEN (1924) and the website details the history of the ship and the society. 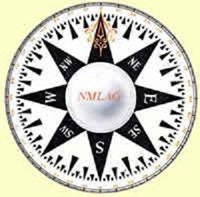 Yalumba is the private website of maritime historian Michael Ian Byard and includes a wealth of information about various shipping lines and ships that he has had connections with. The PONL Heritage Group exists to preserve the history, memories and memorabilia of P&O Nedlloyd and to provide a platform whereby its former employees may stay in touch with each other. MSSC works to ensure that seafarers of all the sea services can access a range of educational opportunities and assists young people by offering them training and education in the maritime discipline. The Mission to Seafarers operates in more than 230 ports caring for the practical and spiritual welfare of seafarers of all nationalities and faiths. National Historic Ships, with its governing Advisory Committee, is concerned with the preservation of historic ships and vessels in the UK. 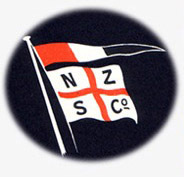 An online society concerned with the preservation of shipping history, memorabilia, photographs and literature dealing with New Zealand. 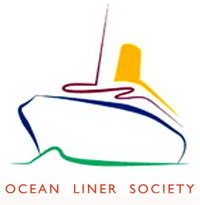 The Ocean Liner Society is a non-profit organisation whose members celebrate the passenger ships in its many forms. Online resource which provides general information about five major UK port cities including London, Bristol, Hartlepool, Liverpool and Southampton. Ships Nostalgia is an international forum and discussion board for all things ships and shipping, providing a friendly online community, advanced discussion board and gallery. The mission of the Merchant Navy Association is to bring all serving and retired Seafarers together in a spirit of companionship, consideration, and commitment towards a united lobby for the Community of the Sea. The association can also provide reports on Merchant Seafarers based upon surviving records as well as ship voyages and service medals. Society focusing on maritime history and ships in South West England. 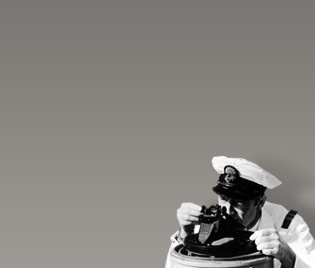 A network of organisations that have naval and/or maritime related collections and archives. education, training, consultancy and research to the international shipping and off-shore oil industries. Look out for a full hull, 1:48 scale builder's model of the cargo ship OTAIO (1930) on loan from the P&O Heritage Collection. The World Ship Society focuses on all aspects of maritime history including ship histories, museums, publications and photographs. Some relevant publications can be found here. A dedicated reference resource for professionals, students and other stakeholders within the naval industry offering daily news release, feature articles and on-going project analysis. Barnebys – All auctions in one place! This is a great site that brings salesroom and online auctions together in an easy-to use website. It's simple to search across many auction houses for specific items and themes. International auctioneers Bonhams hold a series of Collectors Auctions including two specialist marine sales per year. Independent auction house specialising in Maritime Models, Instruments and Collectables. International auctioneers Christies hold a series of Auctions in various countries and locations through out the year. They also hold valuation days and have an online auction estimate facility. Joe Clark Films features films of passenger ships from the 20th Century that are available to buy online. Warsash Nautical Books & Mainmast Books are international maritime booksellers who sell books on maritime history, shipping, marine science, yachting, boating and leisure amongst other maritime genres. DP World is the third largest marine terminal operators in the world, with 50 terminals and 11 new developments across 31 countries. DP World acquired P&O in March 2006 and continues to take pride in preserving and maintaining the P&O Heritage Collection. P&O Ferries offers the most comprehensive route network and the most frequent passenger and freight services to the Continent. 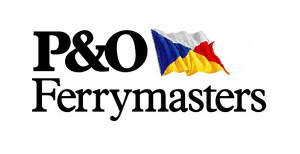 P&O Ferrymasters is one of the leading European providers of tailor-made transportation and logistics services. P&O Maritime is recognised as a premier provider of specialist maritime service solutions. 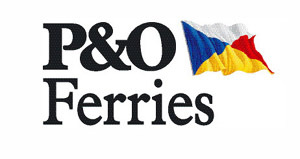 For details of P&O Maritime's current fleet please visit their website. Istithmar P&O Estates are part of the Istithmar World, a holding company that manages the investments of the Dubai Government. Prior to joining Istithmar World, they were part of the P&O Group, being responsible for management and development of their property portfolio in the UK, US and Europe. Trademark and copyright holders' interests are acknowledged. While care has been taken, we accept no responsibility for content on external links. Please see our Terms and Conditions for more.